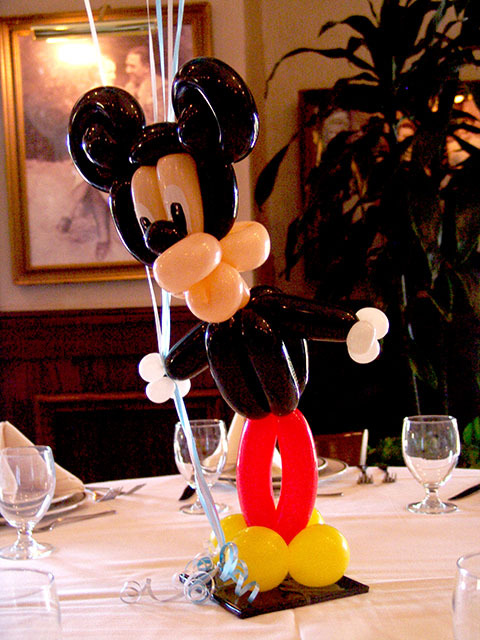 Here is a twisted Mickey Mouse balloon centerpiece we made for a special baptism party at Maggiano’s in Denver. 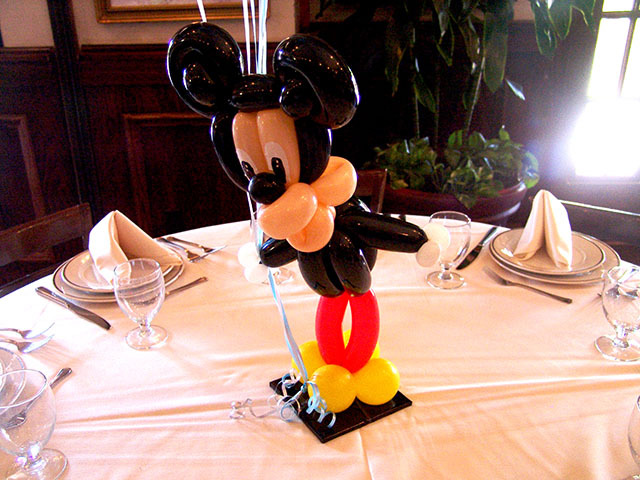 We can twist almost anything for almost any theme you can imagine! 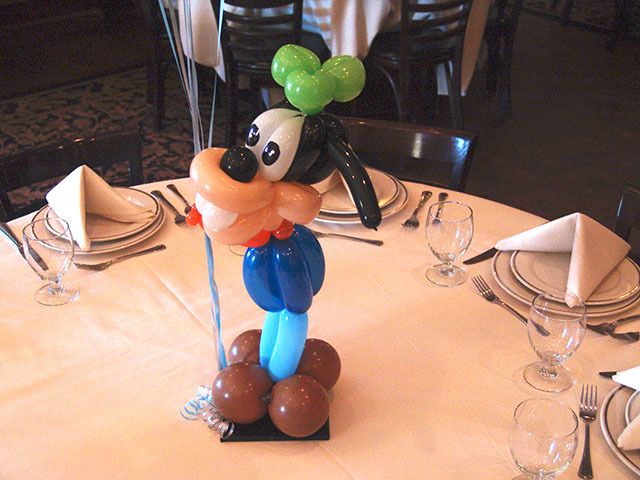 These twisted Goofy balloon centerpieces were created for a Greek baptism party at Maggiano’s in Denver. They were the hit of the party. 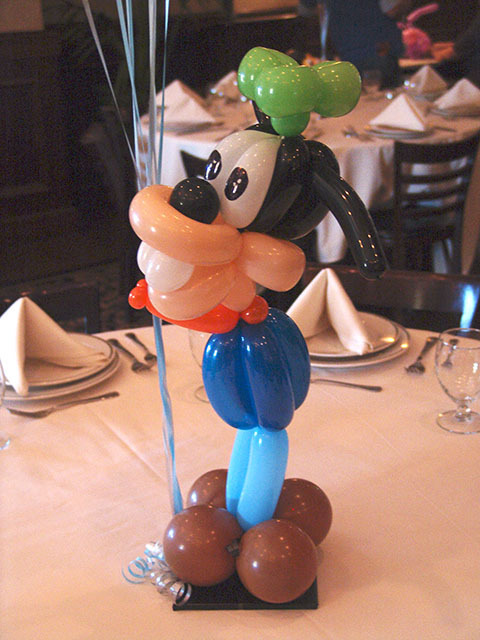 We twisted all sorts of Disney characters for this event. Stay tuned for more of them.